1944, December. A column of the 13. (verst.) Pol.Pz.Kp.. 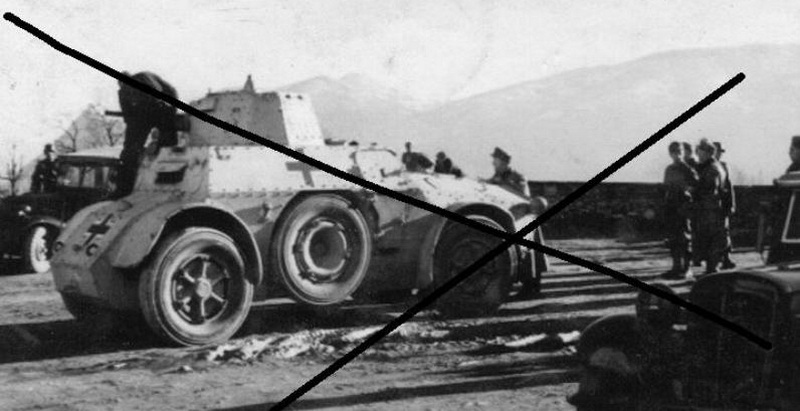 Note on the AB 41 in the foreground the projector on the turret, and, on the side of the driver's position, the attachment points of the additional front armour; these are most probably the same modifications as seen on the AB 41 of the 14. (verst.) Pol.Pz.Kp on the picture. 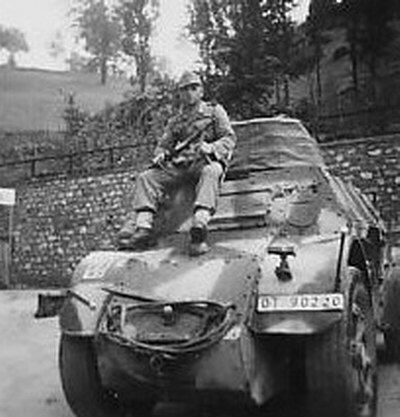 Note also the MG ready to fire on a vehicle belonging to the column. 14. (verst.) Pol.Pz.Kp. 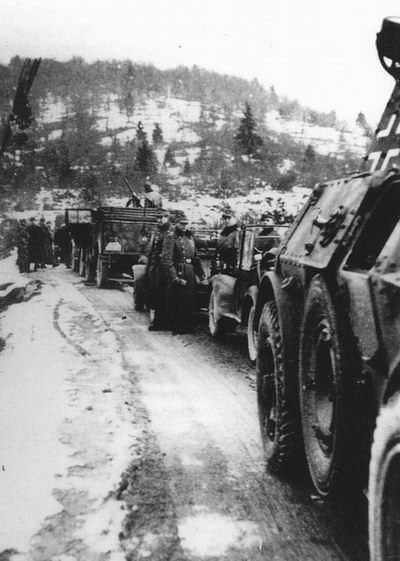 1944, Laibach province. AB-41 with additional armour protection from 14 vers. 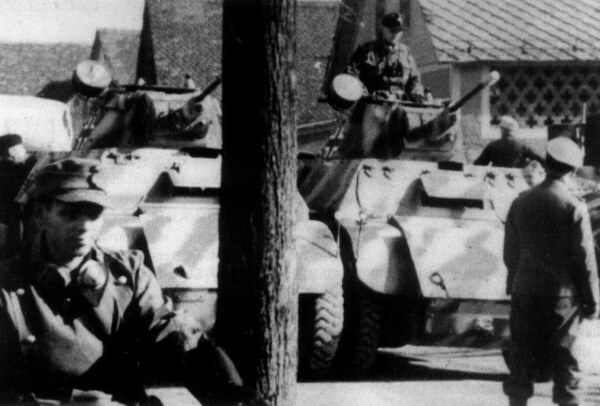 Polizei Kompanie, this Kompanie have 3 AB-41 in 2nd Platoon. Spring 1944, AB41 from SS-Polizei-Regiment 15 had the task of controlling the area of Trieste with nine Italian light tanks (CV33-CV38). 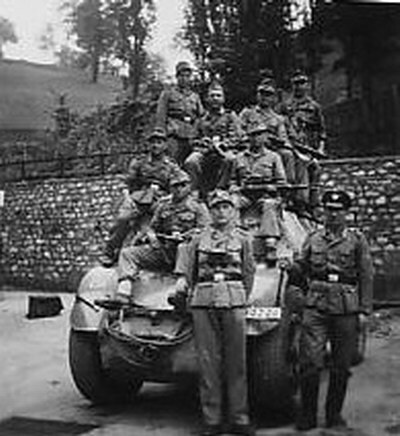 4 SS Polizei Panzergrenadier Division. (Picture from book Regenberger, Dr. Werner: Scheiben. Horst. Beutepanzer unterm Balkenkreuz.) 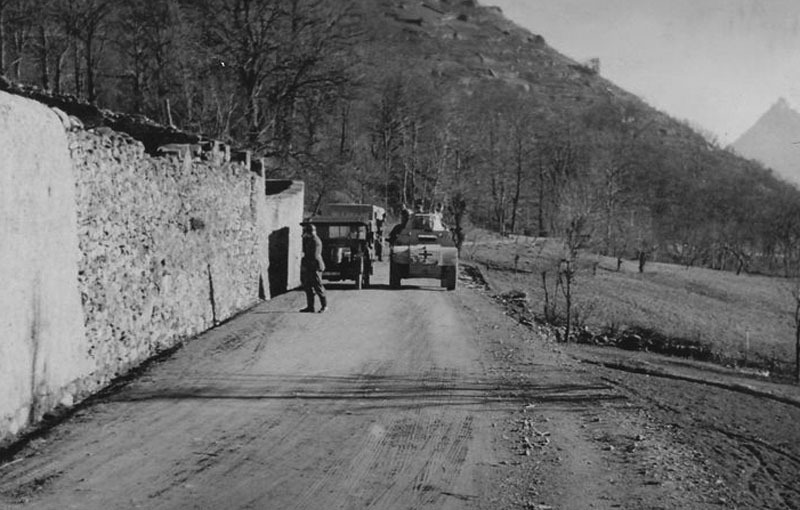 1944, Balkans. 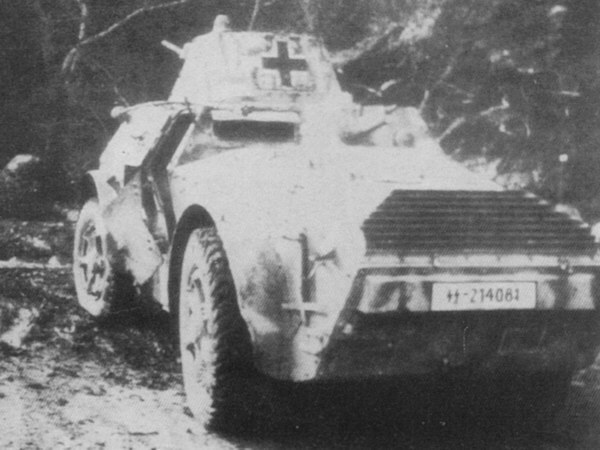 AB 41 from 4 SS Polizei Panzergrenadier Division.